Convey thanks in a tangible way with a personalized plaque. The design features one of the lovely windows at the Cathedral-Basilica of Notre-Dame in Québec City. 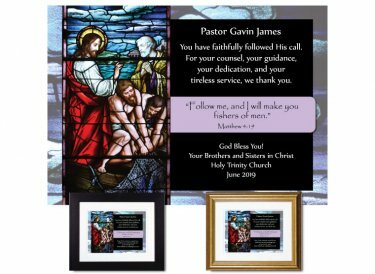 You''ll personalize it with clergy's name (which will appear at the top) and your special message (on the example, the four lines of text at the bottom).